A group of specialists of Romanian and Gagauz languages met on September 14th in Comrat to discuss the drafting and finalization of teaching materials to embark on practical learning activities of simultaneous learning of Romanian and Gagauz languages, in a number of kindergartens in this autonomy. 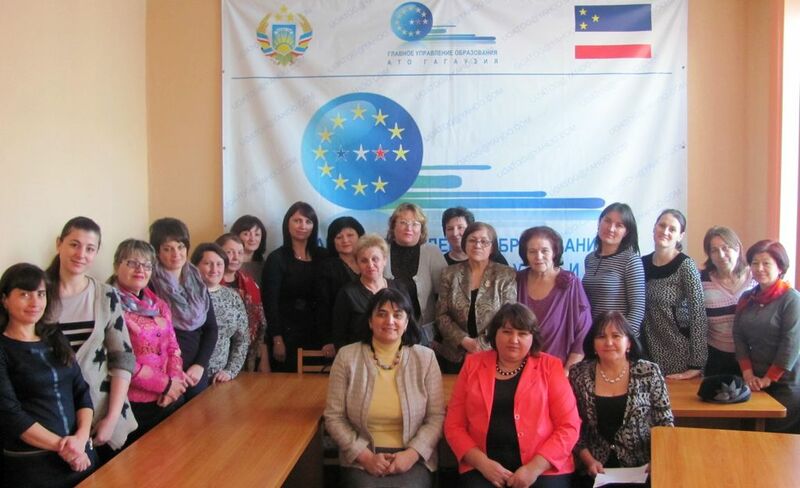 Moreover, the members of ANTEM team had a meeting with government representatives of Gagauzia. In this context, the Gagauz public authorities were informed of the stage at which, the implementation of the program of learning Romanian and Gagauz languages simultaneously, is at the moment. In the same visit, ANTEM team had meetings with representatives of the Directorate of Education of Comrat, and also from the 10 kindergartens from Comrat, Ceadâr-Lunga and Vulcanesti, which will start simultaneous learning of Romanian and Gagauz languages, at the beginning of school year 2016. Preschool education representatives were familiarized with how these lessons will be distributed and manuals developed and had the opportunity to express their expectations and suggestions related to this process. The programme of simultaneous learning of Romanian and Gagauz languages was launched in July 2015, by ANTEM, and aims at acquiring the two languages by children from five to seven years old from 10 kindergartens from Gagauzia and their parents.